Singapore during the 2013 haze crisis. Photo by Choo Yut Shing/Flickr. Fires in Indonesia continue to cause smog and haze across the region, with air pollutants reaching hazardous levels overnight in Singapore. 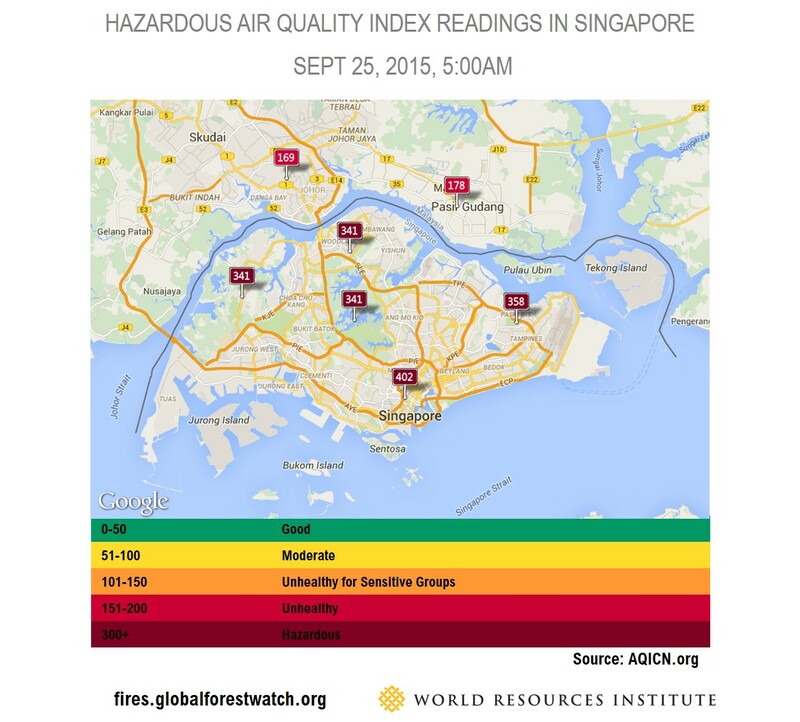 As of 5am on September 25th, the country’s pollutant levels were the highest measured to date in 2015. At these levels, the entire population is likely to be adversely affected, and officials have already closed all primary and secondary schools until the situation improves. 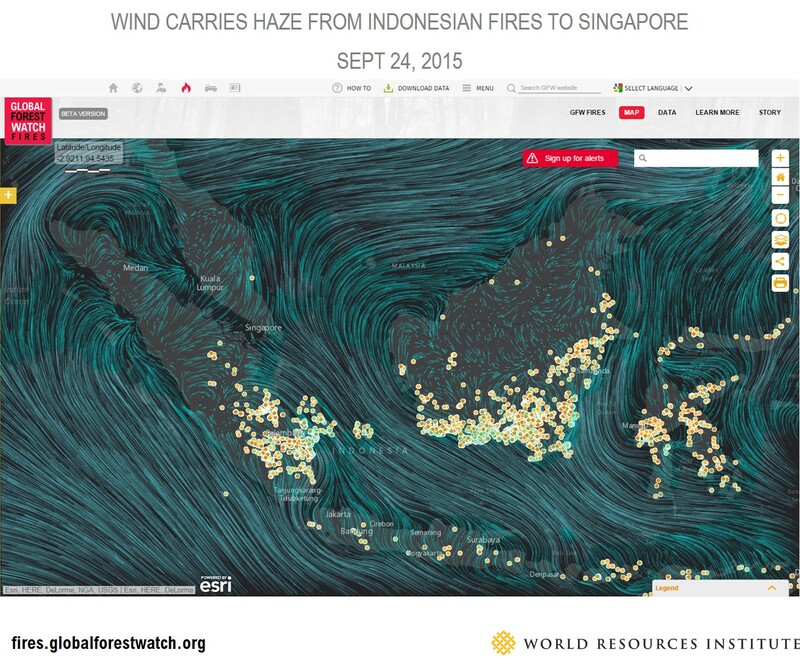 The sudden rise in poor air quality is likely occurring due to a shift in wind direction that is transporting smoke and haze from land and forest fires in South Sumatra, Indonesia. The District of Ogan Komering Ilir continues to lead in the number of active fire alerts, with 423 high-confidence hotspots in the last week. 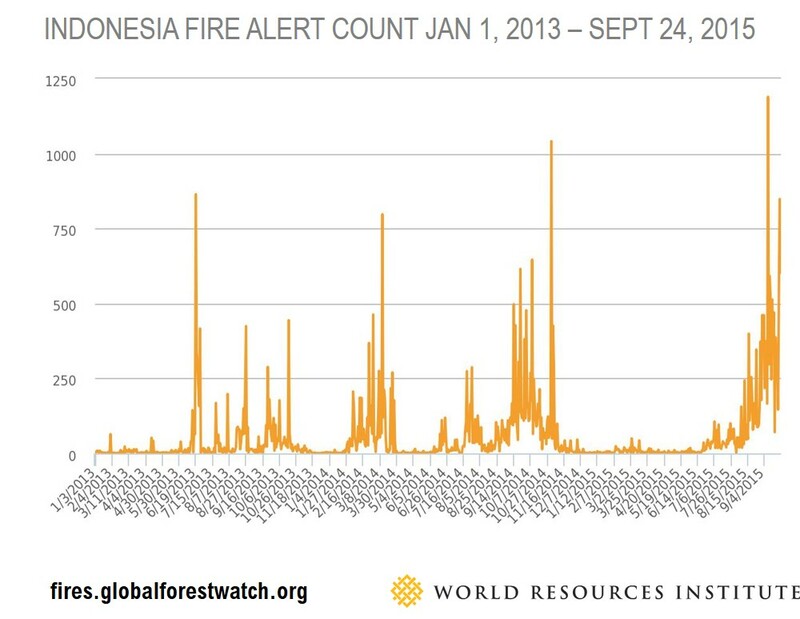 As WRI recently reported, Indonesia’s forest fires have hit their highest point in at least three years, most likely due to illegal burning on agricultural and peat lands. The country saw more than 13,000 fire alerts last week alone. 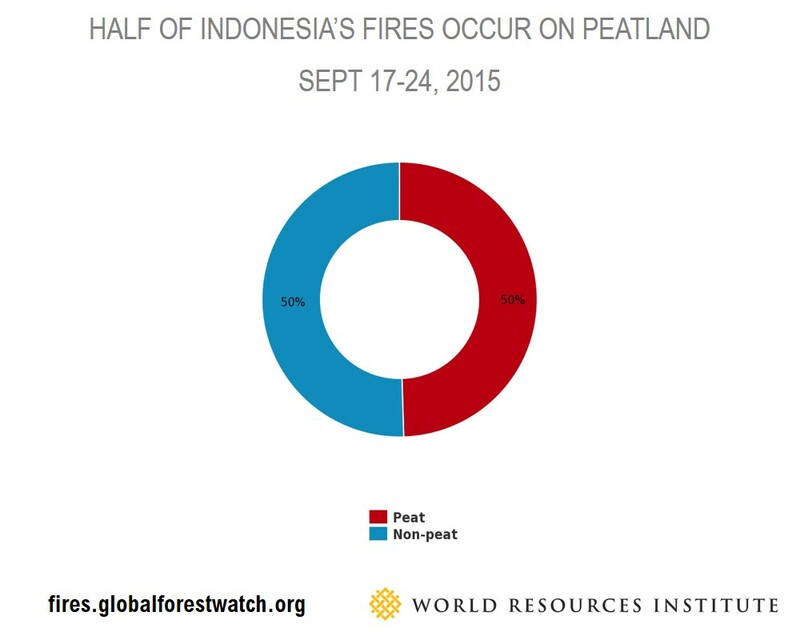 Half of the fires in Sumatra are occurring on carbon-rich peat lands, contributing to the extremely poor air quality and spewing greenhouse gases into the atmosphere. Some of the fires are also burning inside pulp and paper and oil palm concessions, others are on land controlled by smallholders. Precise fire locations can be easily seen by zooming in on Global Forest Watch Fires together with overlays of licenses and company names. Air quality continues to be poor across South Sumatra and Kalimantan, with demonstrations taking place in Central Kalimantan to demand greater action against the fires. Citizens wishing to take action against the fires may join the Global Forest Watch Fires campaign with Tomnod to tag illegal fires in Indonesia captured by Digital Globe ultra-high resolution satellites. Data collected on the location of active fires and burn scars will be shared with authorities investigating the perpetrators of Indonesia’s ongoing fires crisis.